Yesterday, TMZ Sports broke the news that Ronda Rousey was involved in opening a suicide prevention center. 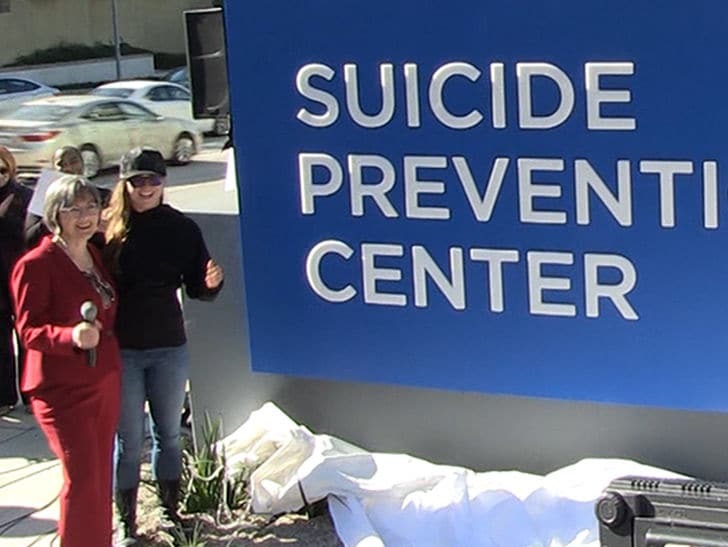 On Thursday afternoon, Rousey and Melissa Rivers held an event outside the building to commemorate the new Didi Hirsch Suicide Prevention Center, which will open on Feb. 22. She and Rivers wanted to stress the importance of having a massive sign on the street so that people struggling with suicidal thoughts could see it and know there’s a place where they can go to get help. “My message that I would give is reach out, don’t tough it out,” Ronda told TMZ Sports. Didi Hirsch Mental Health Services was founded in 1942. Since then, they’ve provided free mental health, substance use disorder and suicide prevention services focusing in areas where stigma or poverty limits access. They have ten locations throughout Los Angeles, Orange County and the southern area of California. Rousey has worked with Didi Hirsch for years; she was the recipient of the organization’s Erasing the Stigma Leadership Award in 2014. Suicide prevention is a cause which she is passionate about because she lost both her father and grandfather to suicide. In 2016, the former MMA fighter opened up about her own struggles with suicidal thoughts following her high-profile title lost to Holly Holm. Mental health awareness has become such a significant topic in the last few years. So, it’s good to see the Raw Women’s Champion continue to use her experiences and platform to contribute to the cause. She doesn’t have many vulnerable moments, but it says a lot that she used this as an opportunity to reach out to others who may need to seek help.